SyAF airstrikes on as-Salehin neighborhood, southern Aleppo, caused the death of 6 individuals while injuring more than 10 others. The number of casualties is expected to rise due to the severity of the injuries caused. Clashes break out between SAA and opposition forces in the vicinity of al-Mallah Fields, just north of Aleppo. Reports of casualties on both sides. 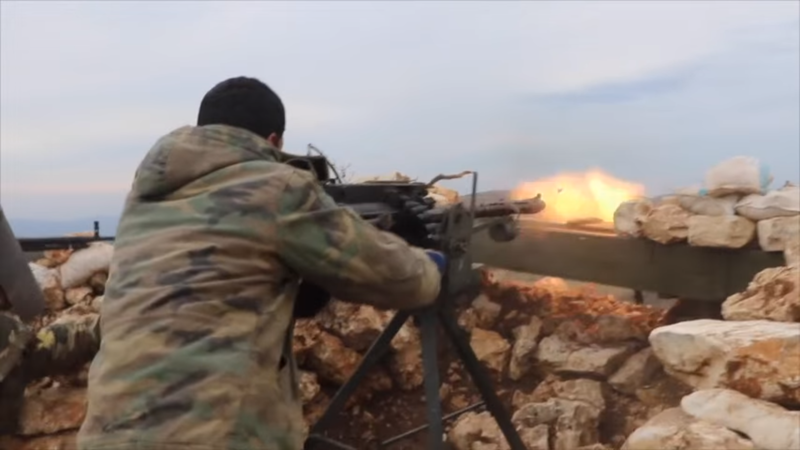 Opposition forces launch an attack against IS fighters in Yani Yaban, northern Aleppo Governorate. During the attack, one media correspondent covering the opposition’s attack was killed. SAA and opposition forces clash in the vicinity of al-Tamura, 16 km northwest of Aleppo. 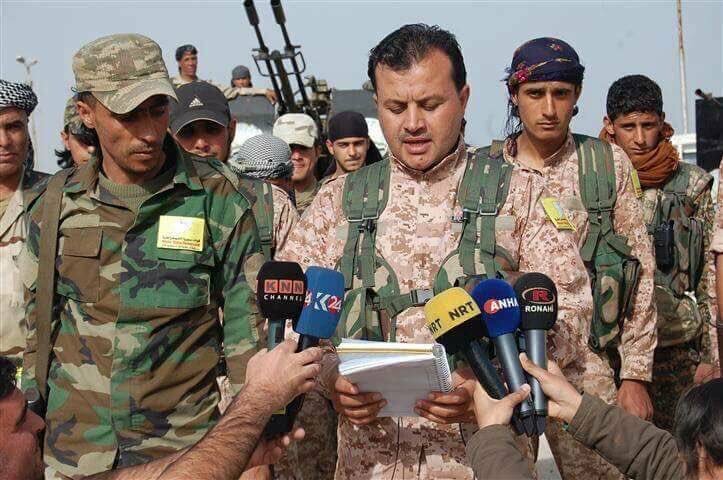 Another opposition faction named Liwaa Jund al-Haramain has joined the SDF to fight against opposition and IS forces in northern Aleppo countryside. Liwaa Jund al-Haramain announce joining the SDF. Image courtesy of Liwaa Jund al-Haramain. An unaffiliated group attacked an islamist faction east of Namar, a village 45 km north of Daraa, and managed to capture some weapons and communication devices. The group then escaped the location. IS and opposition forces clash in the vicinity of Lajat, a large inactive volcanic area 50 km northeast of Daraa. Reports of casualties on both sides. Islamist opposition and JAN forces clash once more with Yarmouk Martyrs Brigade in the vicinity of Sahem al-Golan Dam. Reports of casualties on both sides. SAA and opposition forces clash in Mneen, 14 km north of Damascus. Reports of casualties on both sides. Fighting breaks out between SAA and opposition forces in Kafarnabodah, northern Hama Governorate. Fistfights and hand-to-hand combat erupted between two groups of protesters in Ma’arat al-Nu’man after both groups of protesters, one wielding JAN flags and signs and the other wielding FSA flags and signs, arrived at the same location. Fighting on the streets of Ma’arat al-Nu’man. Video courtesy of @sayed_ridha. Tishrin Dam: SDF vs IS. 7 IS casualties reported during a new IS offensive effort accompanied by several suicide VBIED attacks. Additional casualties reported on both sides. Ayn Daqnah: SDF vs opposition forces. Reports of casualties on both sides including a Kurdish commander. SAA soldier firing on opposition locations in Latakia battlefront. Image courtesy of Eyad al-Hosain. Jabal al-Akrad – Jabal Turkman – Latakia Governorate: SAA and allies under Russian supervision vs the 1st and 2nd Coastal Divisions, Ahrar ash-Sham, Ansar ash-Sham, JAN, and Turkestan Islamic Party forces. 3 opposition casualties reported in addition to more casualties reported on both sides. Palmyra: SAA vs IS. Reports of 32 IS casualties yesterday in addition to some SAA casualties. The fighting is being carried out in the southern and western outskirts of the city as continuous RuAF and SyAF airstrikes target IS locations in and around Palmyra. al-Quaryatayn: SAA vs IS. Reports of 6 SAA casualties. Bala – Harasta Qantara – Damascus Governorate: SAA vs islamist opposition and JAN forces. Reports of casualties on both sides. SAA advance in the area.